In this section, you will see Manitoba’s GHG emissions from 1990 to 2016 from various key sectors. 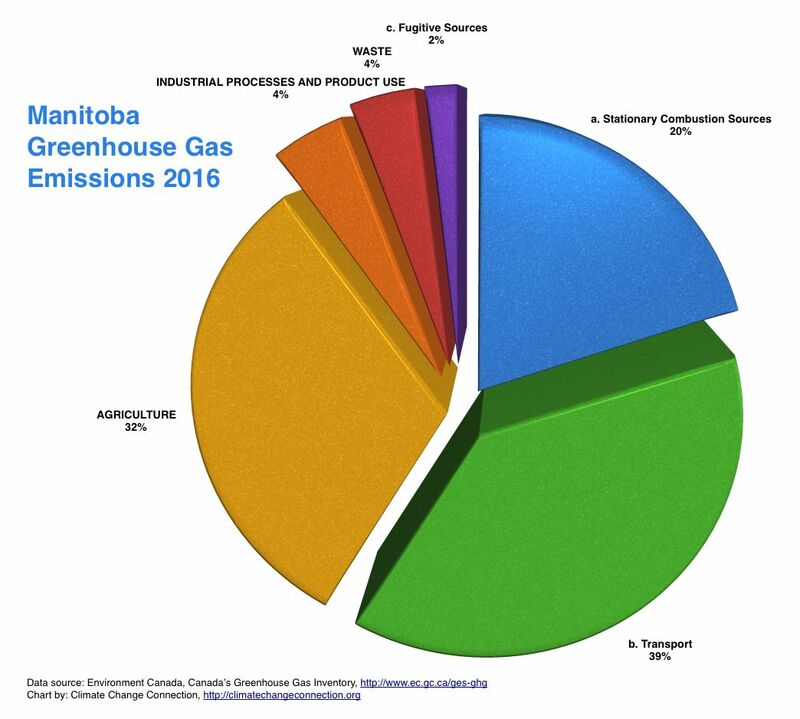 Manitoban’s emissions from the energy (fossil fuel burning) category contributed about 60% of our GHG emissions in 2016. This is a much lower proportion than for Canada as a whole. (1) The key reason for this is that Manitoba’s electricity is produced from hydro power. Consequently, we have a higher proportionate GHG contibution from agriculture than any other province. 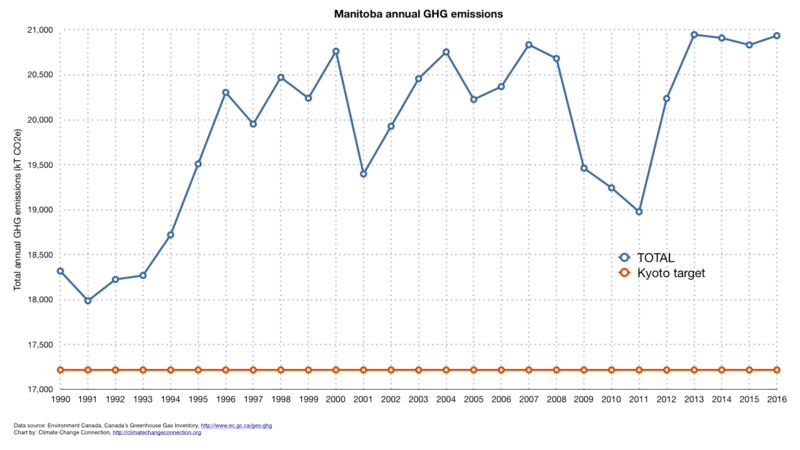 Overall, Manitoba’s GHG emissions in 2016 were 14% higher than in 1990. Also in 2016, our emissions were 17.2% above the level we should have been at by 2012 to achieve our Kyoto Protocol target. Note the emissions dropped from 2007 to 2011. It is not clear how much of this drop was due to policy and how much is due to trends in economic activity.